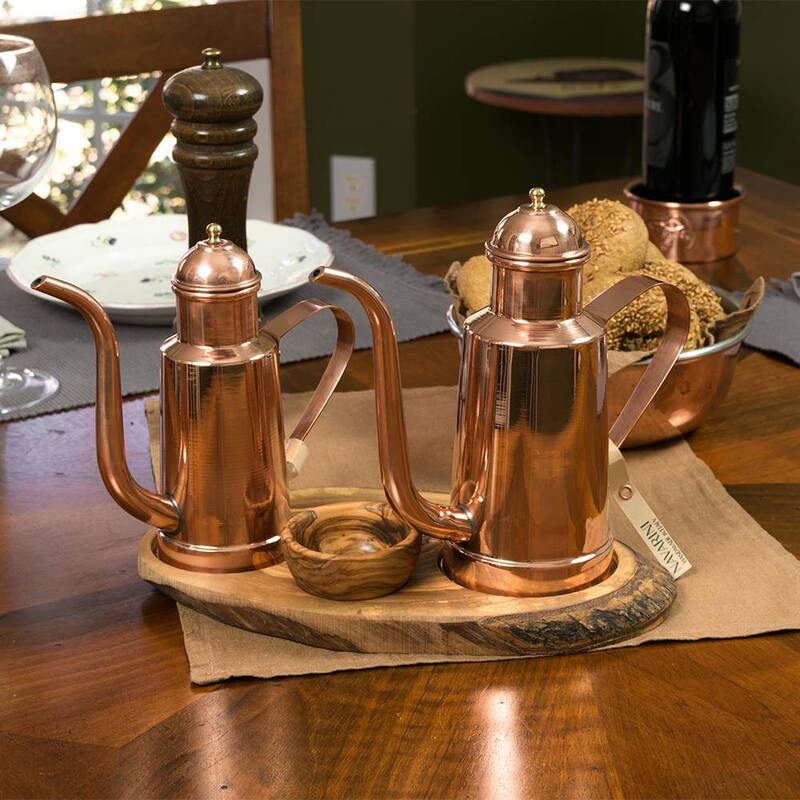 Our 4-piece Oil Cruet Serving Set is ideal for having your favorite Oils available on your kitchen counter or the dining table. Our wooden serving & cutting board is handmade from original Italian olive wood. The wood for this particular set is sourced from the Tuscany region in Italy and custom made in the United States to fit our products. 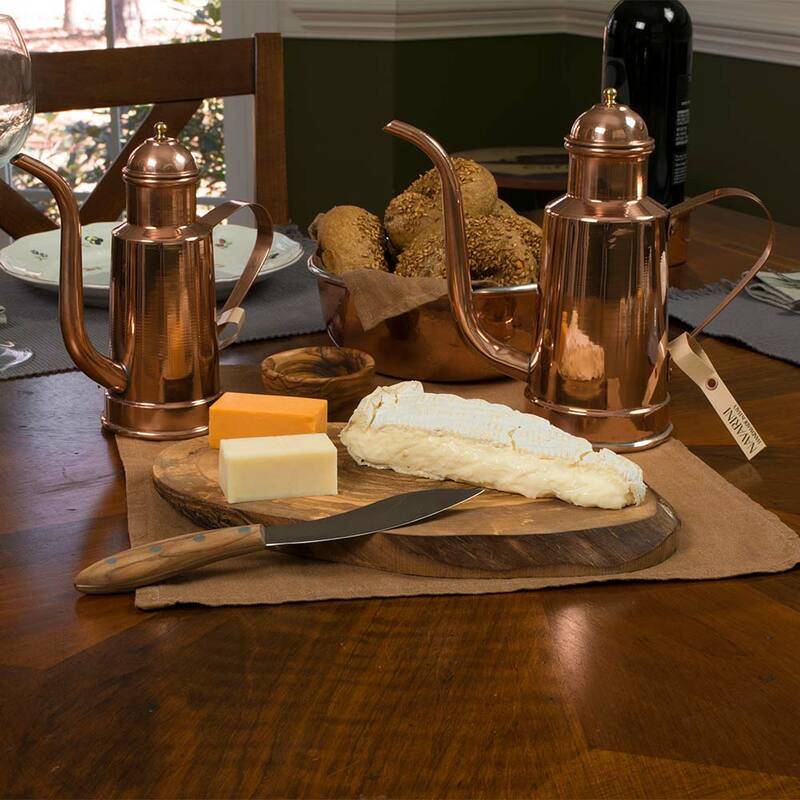 This board will situate our 0.36qt and 0.60qt copper cruet as well one of our olive wood pinch bowls. 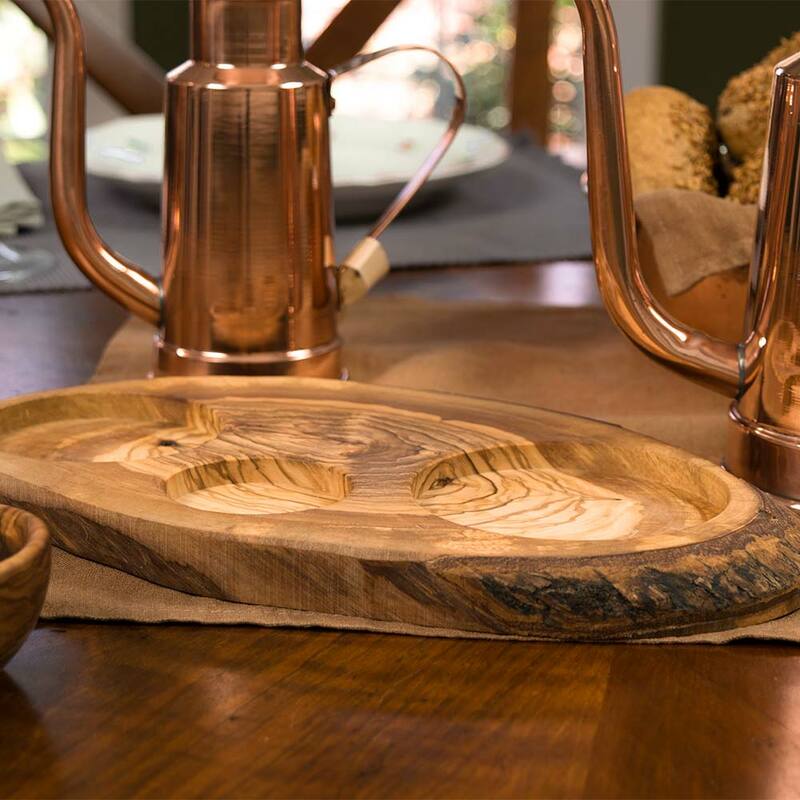 For serving & presentation, the olive wood board features round indentations allowing the items to be perfectly situated in the wood holding them securely in place. It allows you to transport them safely from the kitchen, protects your dining room table and holds them perfectly in place for serving. As a cutting board, simply turn the board and use the perfectly flat side as a cutting board for bread, cheese, sausages and more. Please note that the olive wood board displayed in the images is a sample. All of our boards are handmade from original and natural olive wood and every board is a unique piece. We do not know what exactly your board will look like but we do know it will perfectly situate the items that come in the set. Several manual processes are necessary to create the spout, body, and lid. However, the most challenging and important part to make our oil cruets last for generations is tin-lining the inside of the oil cruet. 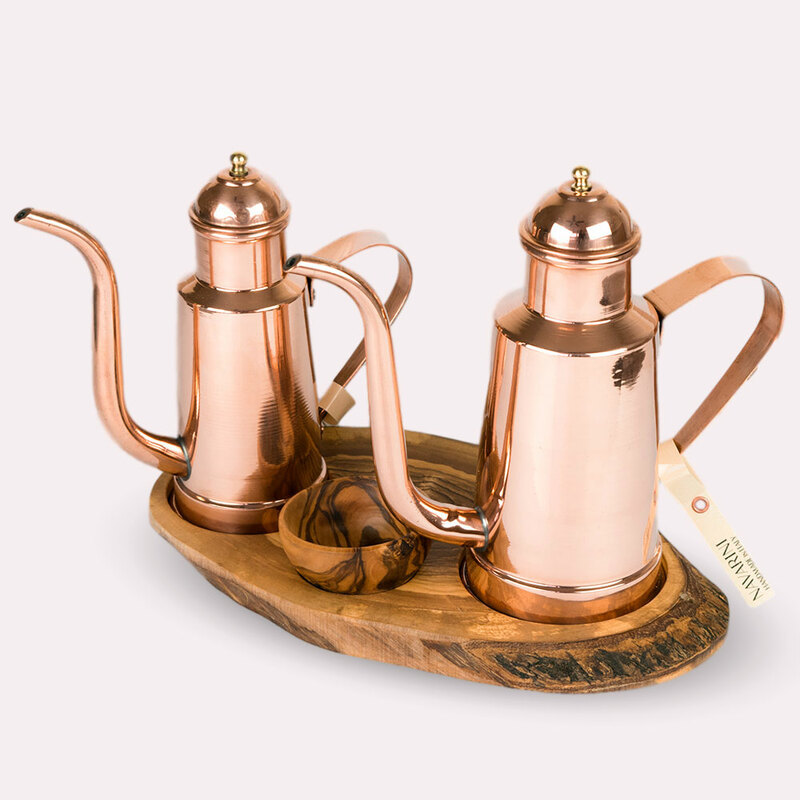 Our copper cruets are actual working cruets meaning the entire inside is lined with a high-quality tin lining - even the spout. To ensure an even layer of tin, covering every part of the inside by hand requires the patience and skill of a true craftsman. Our olive wood pinch bowls are entirely handmade in the beautiful Umbria region of central Italy. The convenient size of 2.36� (6cm) make them perfect for condiments such as salt, pepper, nuts or other seasonings. Every single piece of the set is entirely handmade in Italy.